I had so much fun with this cake! 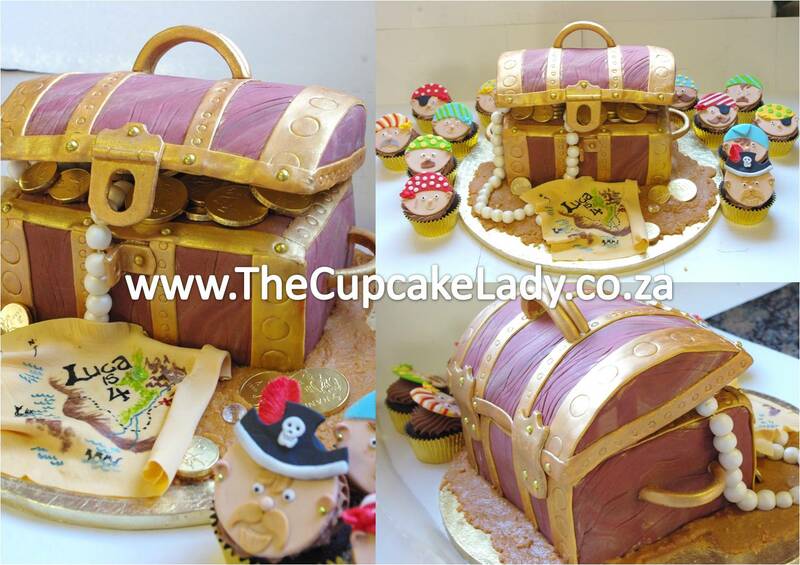 Nicki took advantage of the special offer I had in April to order this chocolate cake treasure chest on royal icing sea sand, with a sugarpaste treasure map, sugarpaste pearls and chocolate coins. 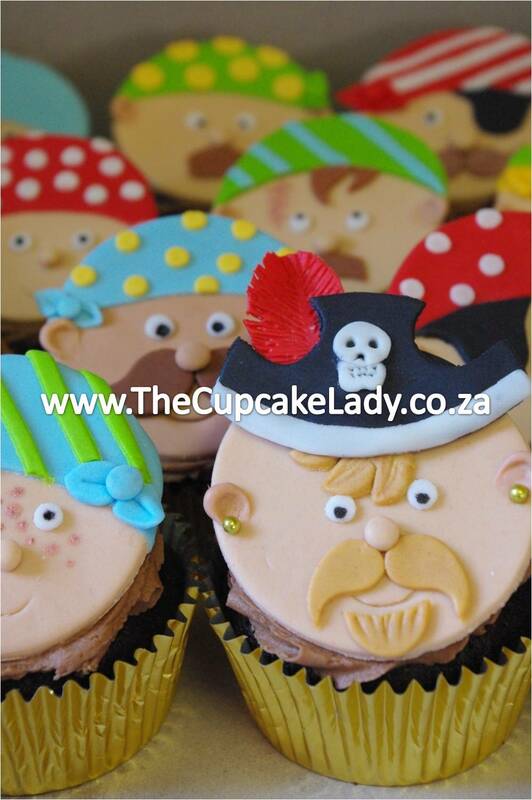 The chocolate cupcakes are topped with handmade, sugarpaste pirate faces.